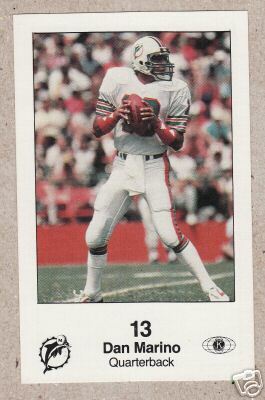 1985 Miami Dolphins Police second year oversized card of Hall of Fame quarterback Dan Marino. NrMt or better condition. ONLY 2 LEFT.